It’s April. What’s in your pocket? Is it empty? Well, why not put your favorite poem in there and read it throughout the day. Poem in Your Pocket Day takes place during the third week of April; an event that celebrates the joy of sharing poetry. President John Adams was quoted as saying, “You will never be alone with a poem in your pocket”. What poem will keep you company this April? You might find a gem in one of these books! Hand the artists in your class a copy of this collection of creatively designed concrete poems. They will enjoy the clever ways the poems are constructed to visually engage the reader. Invite them to manipulate the text of a favorite poem and work with different art mediums to illustrate the text. The animal lovers in your class will want to put this entire book in their pocket. With lifelike charcoal drawings and captivating poetry, the author and illustrator did a tremendous job of telling the story of endangered animals. The poems provide opportunities to discuss the author’s purpose for writing the book. 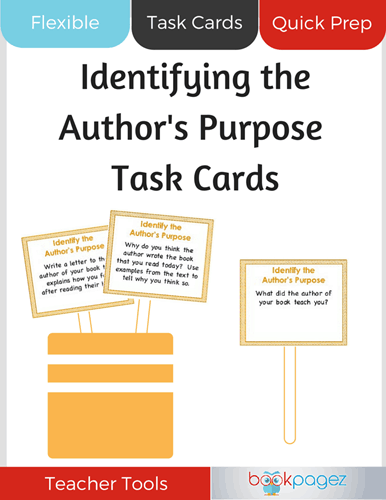 Print the “Identifying the Author’s Purpose Task Cards” to guide students as they read the poems. Practice visualizing with this poetry book full of riddles. Each poem describes the sights, sounds and actions of different animals. Turn the pages to reveal a picture of the animal. As you read the poems, ask children to share their mental images before revealing the illustration. Ask why it is important for readers to have a mental picture while they read. 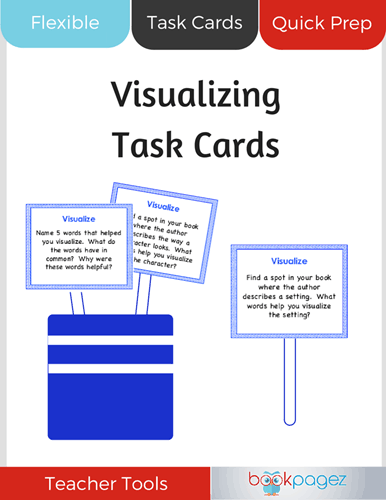 Refer to the “Visualizing Task Cards” from BookPagez when looking closely at poetry. This is a fun book to introduce to the entire class. Boys will be so excited to have a poetry book written just for them, and girls will be inspired to write their own “GALKU” poetry. In either case, children will want to learn the structure of a haiku poem so they can write one on their own. Visit the GUYKU website to inspire your poets with ideas and activities. Published in 1974, this book of poetry still ranks high on favorite poetry lists. Children will giggle as they read poems about silly circumstances and gross ideas. Borrow extra copies from the school library as this book will be in high demand. 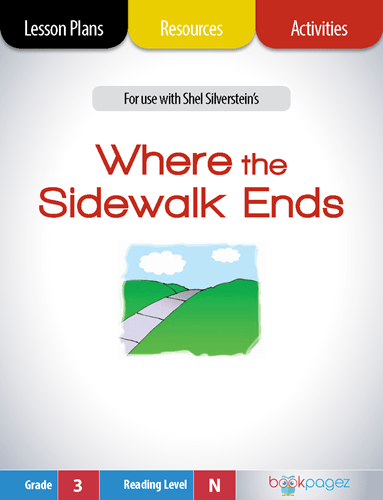 Use the “Where the Sidewalk Ends Super Pack” to spend time enjoying literature with students. Before reading this poetry book, ask children to share questions they have about bees. By the time they reach the last page, their questions will most likely be answered. Each page includes a poem, an illustration, and an informative paragraph about the flying insects. 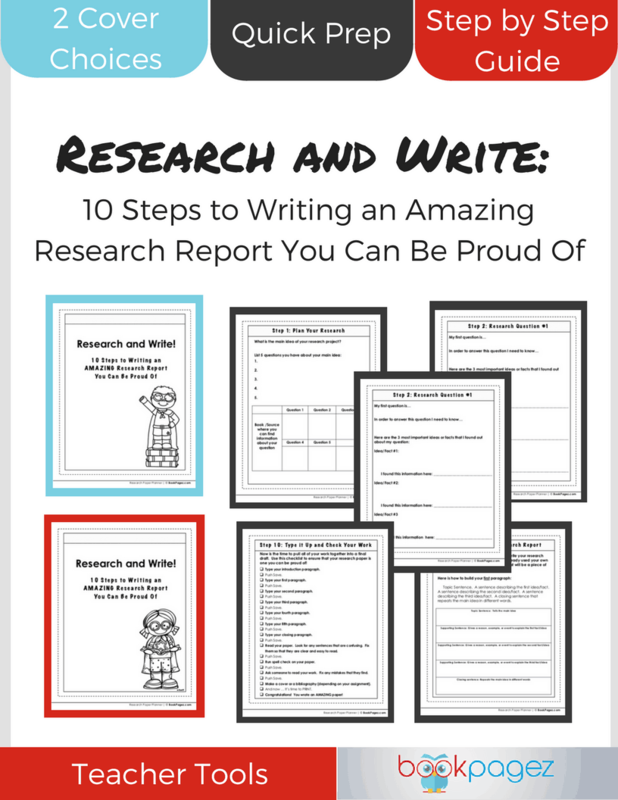 Children can share their new learning using the “Research and Write” template from BookPagez. This award-winning book takes place in New Orleans when slaves worked the farms. For six days, they toiled under miserable conditions, hoping to make it to Sunday, a day of freedom. On this day of rest, they reunited and danced with family and friends in Congo Square. Ask a group of seven children to read the story, and dedicate one day of the week for each student. Discuss why the author might have used this text structure to write about this time in American history. Use the “Research and Write” template from BookPagez to guide children as they learn more about Congo Square. The poetry in this collection presents a different way of looking at books and the stories they tell. Read the poem “Index” when introducing parts of a book. Children will smile when Index tries to convince the reader why he is the most important part of a book. Model how to use an index after reading the poem. As a guided practice activity, give each student a nonfiction book with an index. Ask children to find the words in the book that are listed in the index. Make a game out of it, and have some fun! Many readers will instantly connect with the boy in this story who proclaims he does not like poetry. The boy gradually develops his appreciation for poetry as he journals his thoughts and feelings about the genre. The journaling exercises give him a venue to express his feelings about missing his dog. 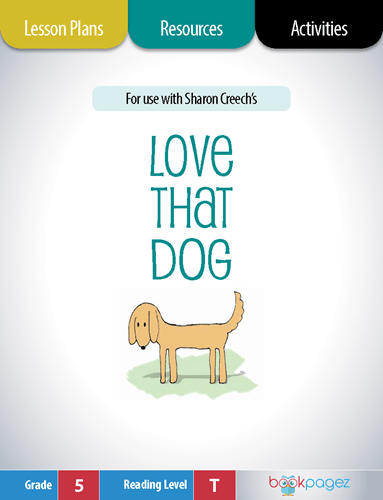 Take time to further explore this memorable book with lessons from the “Love That Dog Super Pack”. Explore the art of verse poetry while learning about Jacqueline Woodson’s life as a young girl. This poetic memoir delivers stories of discrimination, fear, family and finding your place in the world. Readers will want time to absorb the outstanding phrases and descriptions Woodson crafted in this award-winning book. The “Brown Girl Dreaming Book Club Super Pack” offers carefully crafted lesson plans to support the higher level reflection this book deserves. What is poetry? Poet Samuel Taylor Coleridge described poetry as placing the “best words in the best order”. Daniel finds this to be the case as he asks his woodland friends to define poetry. The creatures explain by using meaningful, descriptive words. Daniel collects their poetic phrases and creates his own poem for a Poetry in the Park event. 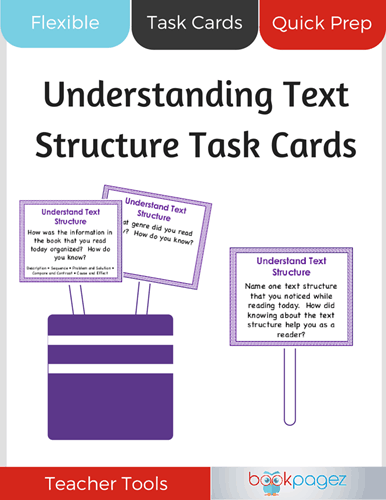 Explore the sequential text structure in this story using the “Understanding Text Structure Task Cards” from BookPagez. Writing poetry takes time, especially if you want it to be perfect. In this story, Elinor wants to write the perfect poem for a poet who is presenting at her school. The goal for perfection stalls Elinor’s writing. Read how the visiting poet helps Elinor share an impromptu poem that required no practice. Examples of different forms of poetry are included in the book. Visit the Poem in Your Pocket Day webpage for fun ideas and activities to share with your class. For the children in your class who are nervous about reading aloud, the story of Chicken Lily might help them overcome their fears. Students will have fun pointing out the puns in this story about a chicken who is afraid to read her poem to the class. 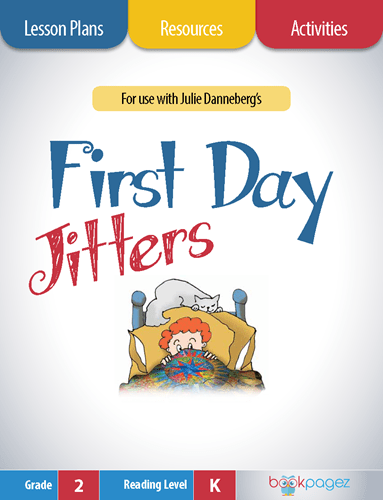 Share this story along with the “First Day Jitters Super Pack” to practice making text-to-self and text-to-text connections. After reading poems composed of words that rhyme, why not enjoy reading books with rhyming words? Children will enjoy engaging with predictable word patterns. The rhyming pattern in Madeline is both musical and memorable, making this a perfect book to practice reading comprehension skills. Visit the “Madeline Super Pack” for lessons to support small group instruction. 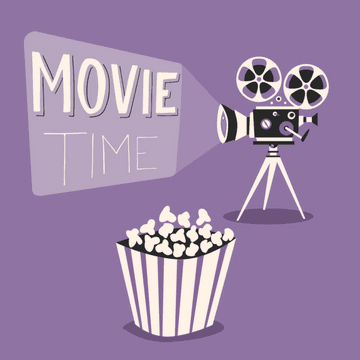 There is also a website to delve into for more fun activities. So many children begin reading with this predictable, rhyming book. The illustrations support readers as they proudly interpret each page. 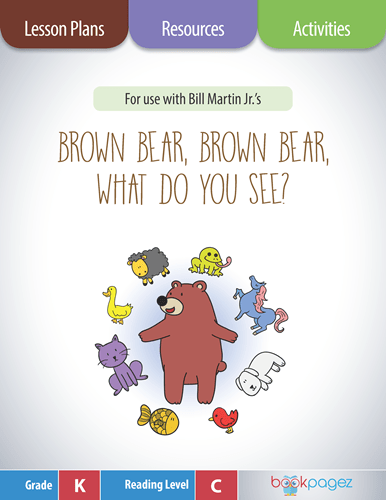 Practice retelling and summarizing with the “Brown Bear, Brown Bear, What Do You See? Super Pack” by BookPagez. For more practice with retelling and summarizing, read “Room on the Broom” with children. This is a fun story about a witch who keeps losing things as she flies through the night. Her friends climb on the crowded broom to help her find the lost items. 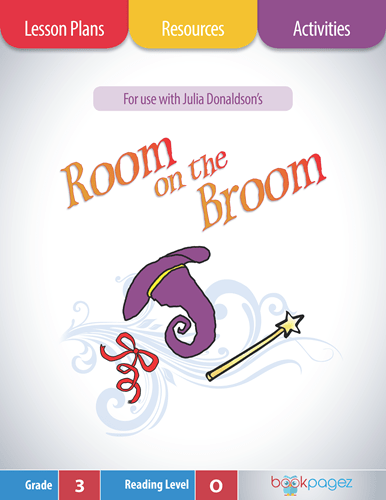 Visit the “Room on the Broom Super Pack Extension Activity” by BookPagez and create a scene for the story. Each month, we have a Poetry Performance wear the students memorize and recite a poem. Most of the performance poems are by Aileen Fisher, a timeless poet. Years later, students tell me they still know many of the poems they performed. 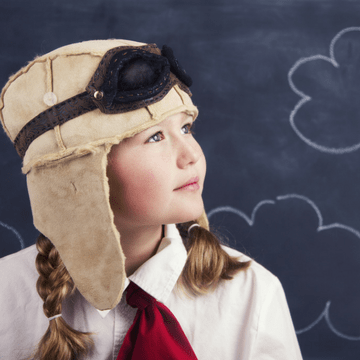 Which poems and resources do you use to help your students develop an appreciation for poetry?